Can You Take The Pill And Antibiotics Together? If you've got to take antibiotics and the pill together then it's understandable to worry about potential side effects – especially if your risk of pregnancy is going to increase. Find out what the risk of taking these 2 medications together is and whether you need to do anything to protect yourself from them. Is it safe to take the pill together with antibiotics? What happens when you start taking the pill and antibiotics together? How can you tell if your pill or antibiotics are working? How can you tell if you’re getting side effects from either? Is it risky to drink alcohol if you’re taking both? In most cases it's not a problem – usually when you have an infection or are ill your doctor will prescribe standard antibiotics and there is no real need to worry about interactions between these and your Pill. Both the progestogen-only (mini pill) and the combined contraceptive pill can be taken with broad-spectrum antibiotics. 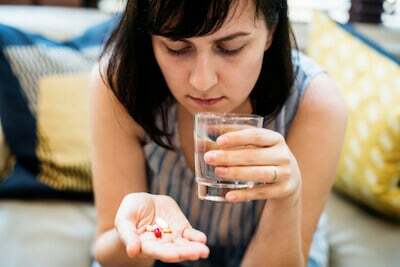 Antibiotics can indirectly affect the Pill – if your antibiotics cause you to vomit or to have severe diarrhoea then this can stop your Pill from working. If you are ill within a certain time of taking your Pill, then it may not have been absorbed in time. Therefore, you should read the patient information leaflet found in the medication packaging to see what to do. Make sure to mention your other medications during your assessment – if your doctor is going to prescribe you with antibiotics, let them know you’re on the Pill. Tell them which one you take or if you can, take the box with you to your appointment, that way your doctor will be able to check for any possible interactions. They should then advise you about what you can do to prevent pregnancy, whether that is changing your contraception method or if possible changing the antibiotics they have prescribed. These antibiotics are not prescribed often and are used to treat and prevent tuberculosis (TB), meningitis and MRSA. Be aware of getting sick – if you are sick or have diarrhoea, you should read the leaflet of your contraceptive pill to see if its function will be affected. It is likely that if you are ill shortly after taking your pill, then it will not have been absorbed by the body. Therefore, it may not work effectively – read the instructions on the leaflet about what you should do if this is the case. What to do about side effects from either – if you experience side effects from either your antibiotics or your pill, speak to your doctor or nurse for advice. Wait to speak to them before stopping your treatment. If you suspect you may be pregnant make an appointment to see your doctor or nurse. If pregnancy is confirmed they will talk you through your options. Antibiotics can take some time to work – antibiotics get to work straight away by killing the bacteria causing your infection. Usually, a course of antibiotics is taken for 7 or 14 days. It can take up to a week for the effects of your infection begin to clear up. If you finish your course of antibiotics and you still feel the same or worse, consult your doctor for advice. It may be that you need a stronger dose or a different type of antibiotic. It could be the one you started taking most recently – if you think you are experiencing side effects, it is very likely they are being caused by the medication you started taking most recently. For example, if you have been taking the pill for a while but have only just started a course of antibiotics, it is likely the antibiotics are causing the effects. How to confirm where the side effects are coming from – if you think you may be experiencing side effects from your contraceptive pill, antibiotics or both, you should consult your doctor. The similarities between the side effects of both medications can make it difficult for you to determine the cause. Your doctor, however, will be able to distinguish between the two and provide a solution to make you feel better. Yes it can be risky – alcohol can pose risks to your health if you are taking antibiotics, the contraceptive pill or both. If you have been prescribed antibiotics it is sensible to avoid alcohol altogether as it can make you feel unwell. However, if you drink in moderation while taking antibiotics it is unlikely you will have any significant problems. You should avoid alcohol for the duration of the course of these antibiotics and for 48 hours after you stop taking metronidazole and 72 hours after tinidazole. Hoffmann, K. et al (2015). Oral contraceptives and antibiotics. A cross-sectional study about patients’ knowledge in General Practice. Reproductive Health; 12(43). 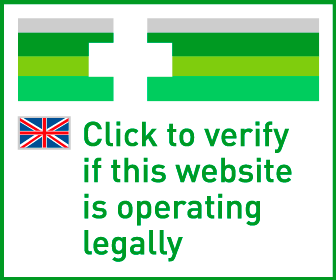 British National Formulary. (2018). Contraceptives, Interactions. NICE. [online]. Available at: https://bnf.nice.org.uk/treatment-summary/contraceptives-interactions.html [accessed 1st August 2018]. Simmons, K. B. et al (2018). Drug interactions between non-Rifamycin antibiotics and hormonal contraception: a systematic review. American Journal of Obstetrics and Gynaecology; 218(1): 88-97.